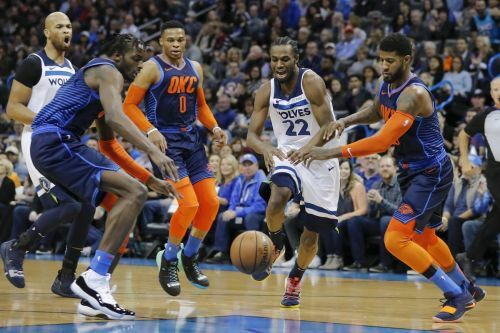 The Minnesota Timberwolves won a close encounter against Oklahoma City Thunder in a game that could have gone either way. The final score line was 114-112 in favour of the Timberwolves. 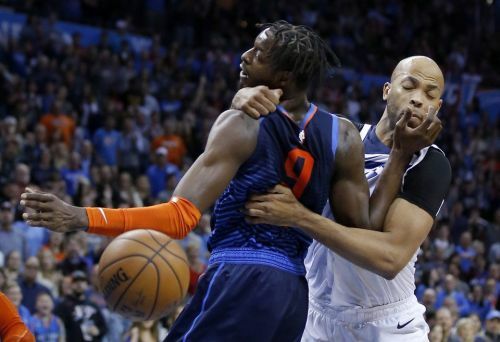 With the victory over the Thunder, the Timberwolves are now 13th in the West with a record of 15-18, while on the other hand, the Thunder still have firm footing as the 3rd seed in the West. Paul George again delivered results for the Thunder as he has been doing so far, but this time, he was just not enough. He came short and Minnesota sneaked a victory. The Timberwolves badly needed this victory as they have won only 4 of their last 10 games. They have often looked lost, like don’t know what’s going on, and as for the Thunder, they would be fine even after this loss, as they’re in sublime form, and hopefully, this is just a one-off for them. Minnesota sees Andrew Wiggins as their star. They see him as a second guy to Karl-Anthony Towns. And especially since his big lucrative contract deal, it’s clear that they want to put their bets on Wiggins. They hoped that Wiggins will breakout this season. But, sadly for them the former No.1 overall pick hasn’t been able to do so. In fact, he has taken a step back this season. This was a much needed performance from him in order to get back to positive ways. He scored 30 points on 11-20 shooting. Throughout the season, Wiggins has been averaging 16.7 pts, on a miserable 40% shooting from the field. Hopefully this game was a sign of positive change for him and the Timberwolves.